Dimensions 17.32" x 5.31" x 1.58"
I originally ordered the keyboard and it came in within a month, only to open the package like Kenneth and to find a dead duck. My keyboard was DOA and didn't have any connectivity. I tired different cables/ports/computers and still it wouldn't light up. I tried gently wiggling the USB-C cable in further, but it seemed to be in snug. I reluctantly sent it back for repair since I liked the red/pink key set that it shipped with. It took MK about a week to get to it, and within 2 hours of inspecting it they said it needed a part they didn't have. So they refunded my money, but by that time the same batch had sold out. So I had to wait for another batch of keyboards to get the MX Brown. I have been reading around and heard similar experiences recently, so Ducky must be having some QC issues. I however got the new one today and its working great. 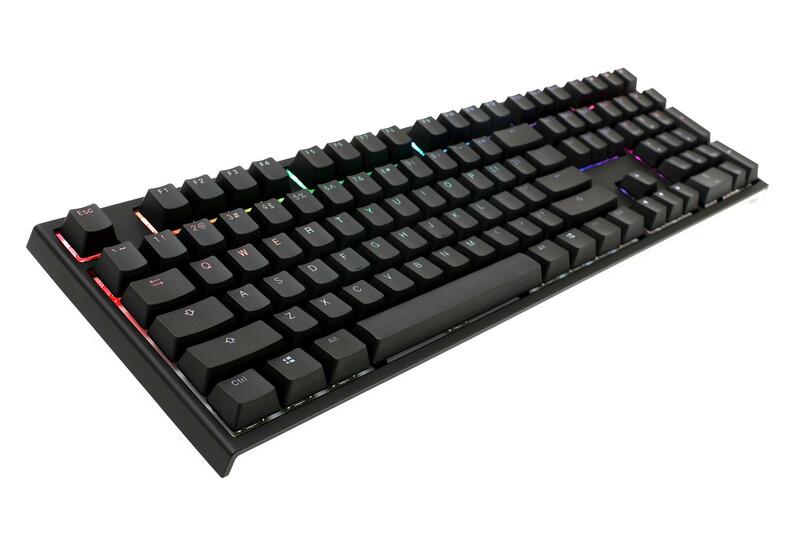 I always heard so many people say they type a lot faster with these mechanical keyboards and I never really experienced it till I got this keyboard and started writing this review. I have yet to game on it, but this keyboard makes me very happy and I hope to pass it down to my little girl someday. I'm giving this a 4 since the first one was DOA (a dead duck). Received this keyboard but didn't work out of the box, i'm sure I just got the bad end of the stick but this is unacceptable. I've tried multiple ways to see if the keyboard would work such as trying different usb ports on my pc and on a different pc entirely. I thought it was a bios error but all my usb ports are enabled in the bios. I'm also a little bummed because I am unable to keep the random color keycap that I received which in this case was pink and I have to order a completely new keyboard entirely. I still have faith in this keyboard and have ordered another one. Overall, I wasted my whole spring break waiting to use this high-respected keyboard. I still have faith in this model, however leaving me with a sour taste in my mouth. This is a really stunning keyboard. It looks great and the lighting is very nice. It feels sturdy and is a joy to type on. However, I'm removing a star because the indicator lights for caps lock, num lock, etc are blinding and they include the red enter button by default. I used their included keycap puller and scratched the white backplate a fair bit removing that red key. The black key also seems to be a bit stiff to push down for some reason. It's definitely a nice keyboard with only minor drawbacks. Ordered this on December 28th and finally got it today (March 4th), roughly a 3 month wait but honestly has been the best keyboard I've used. 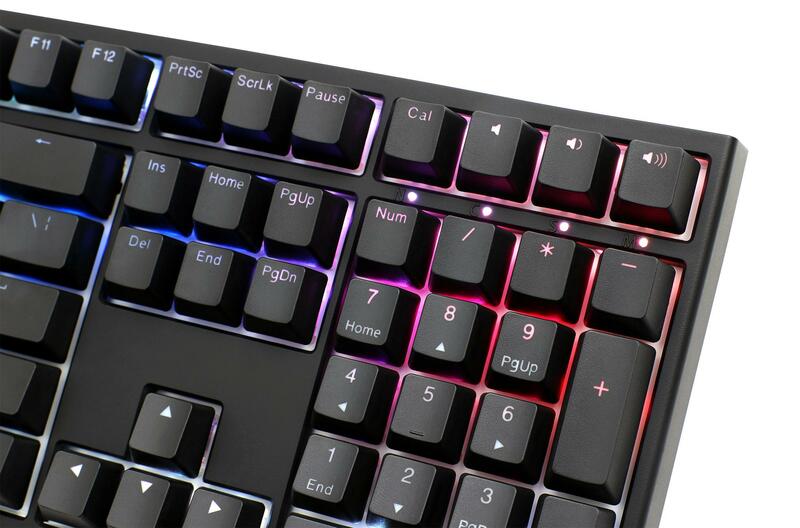 The RGB lighting is extremely smooth and evenly lit throughout. It's a very decent weight so there won't be any moving around or anything like that and with the added rubber material on the bottom of the little legs, it'll definitely stay in place. Mine came with the YOTD or whatever it's called spacebar which adds a really cool look to it and has a blank normal spacebar in case you don't like it. 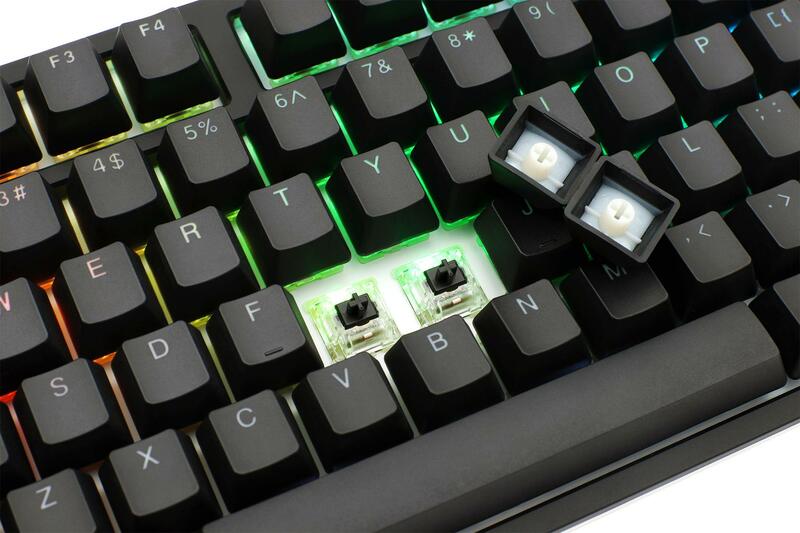 There's a keycap remover included and red extra keys for distinguishing I guess, personally the all black looks better, but that would be up to you. If I were to nitpick a tiny bit then the one thing would be that a few of the keys have a small amount of black behind the letter/function which kinda messes up a completely flawless keyboard but it's honestly unnoticeable when typing or looking at it except when like really close to it. 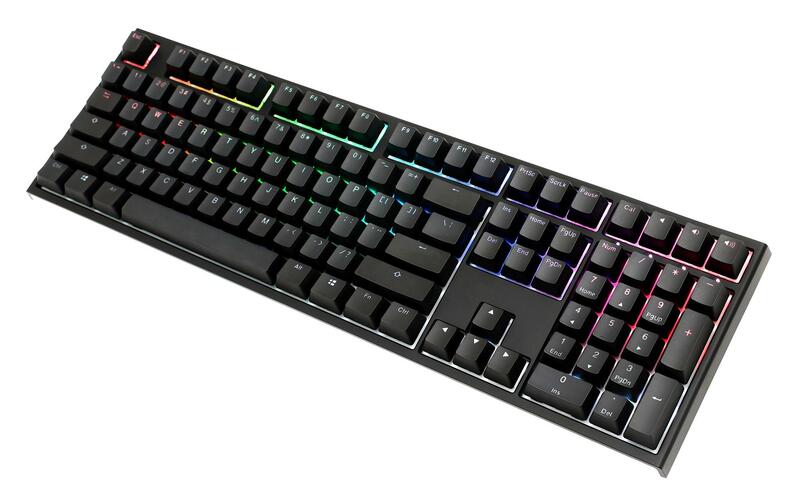 Honestly would recommend if you like mechanical keyboards and want a simple and clean RGB full keyboard. Hope this helps! This keyboard is fantastic! Well worth picking up. Awesome keyboard. Top build quality and ergonomics. Thanks to mechanicalkeyboards.com. Fantastic store. Fantastic keyboard and build quality, especially compared to traditional gaming keyboards. I got it with Cherry MX Silent Red, and it feels great. 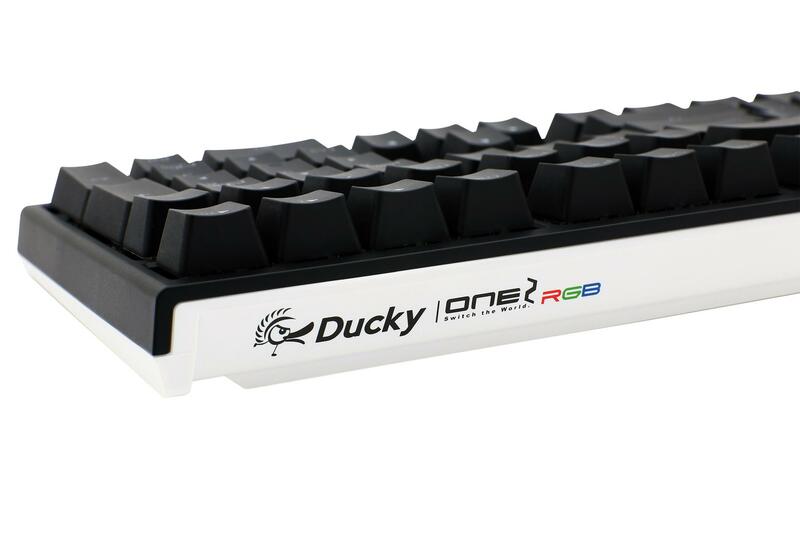 It comes with a Year of the Dog spacebar, some Ducky colored keycaps, and a keycap remover. The white exterior provides a neat contrast, and it uses a detachable USB Type C cable. If you're interested, the user manual describes how to create macros and program the RGB lighting. I re-programmed my Calc button to Play/Pause. 10/2/18: Keyboard still working great. I received the YOTD space bar which was a big surprise and i was hyped. Plus they released some software to let a tad more customizability to it. Some functions don't work but i am pretty sure they are going to update it. Only small problem was my stand(the highest one) seems to be cut a tad wrong so i got this cracking sounds when i tried to move it in that position. Over time it molded into a shape and it felt a little smoother.